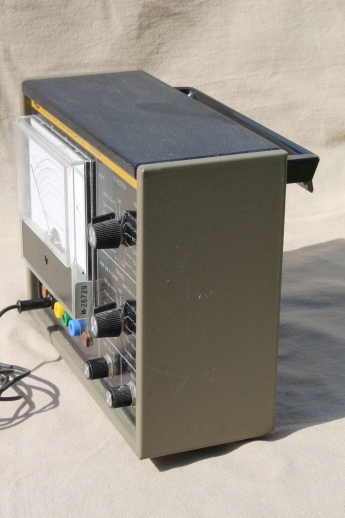 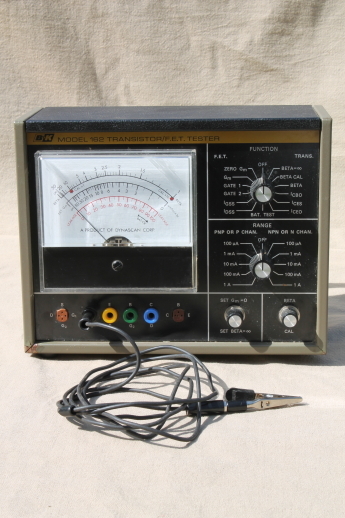 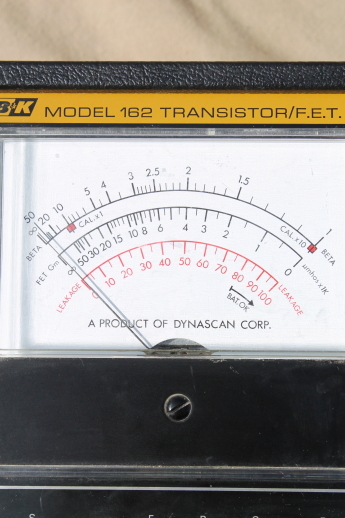 B&K Dynascan model 162 transistor or FET tester. 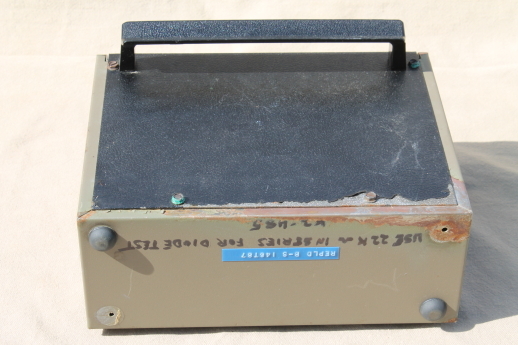 This is missing two of the rubber feet and has some flaking to the paint. 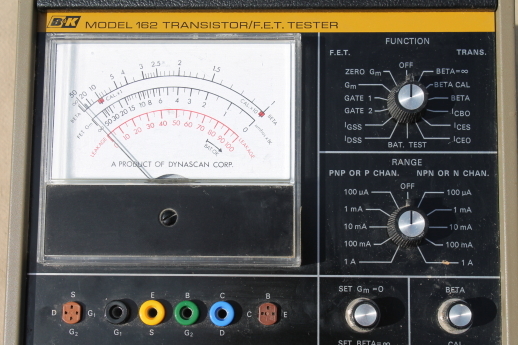 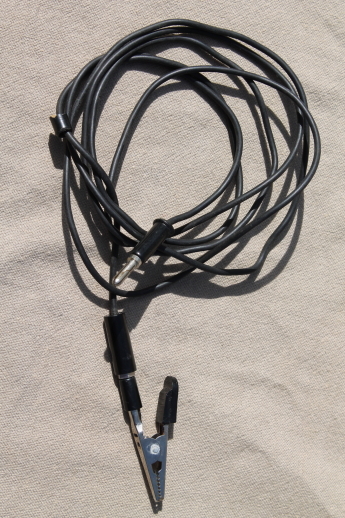 This is from the estate of an electrical engineer, but we&apos;ve not tested it and are selling it for repair or parts.